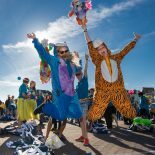 Last week, Leiden had once again a wonderful surprise to offer. I first thought I misread something last Thursday when I stumbled upon an announcement that there would be a TEDx event in Leiden the next day! I assume most of you have at least once watched a TED talk on youtube and afterwards felt blown away, inspired or simply happy. Well, I had a couple of those moments but for some reason I have never spared a thought about where and how these videos were made. Until the moment I realised there was a whole day of TED talks about to take place basically at my doorstep! I had no idea what to expect but I really wanted to find out! 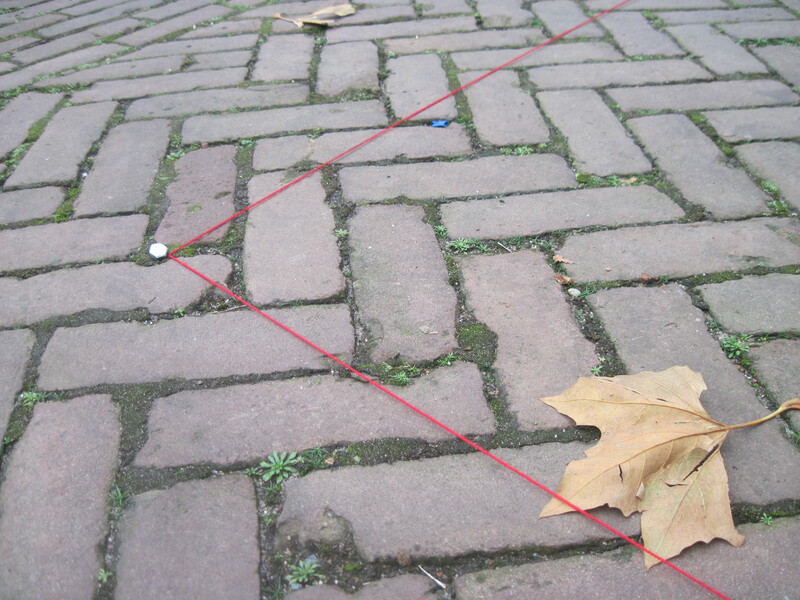 The red line leading to the TEDx event in the Meelfabriek. And oh, how lucky I am that I did! TEDx is the name for individually organised TED events all over the world. It truly was an experience, and I am mainly writing this blog to tell you that whenever you have the chance to go to a TEDx event, go! It’s a refreshing and inspiring and surprising (and probably always completely different) experience that will get you out of daily routines and maybe even of routinely habits. 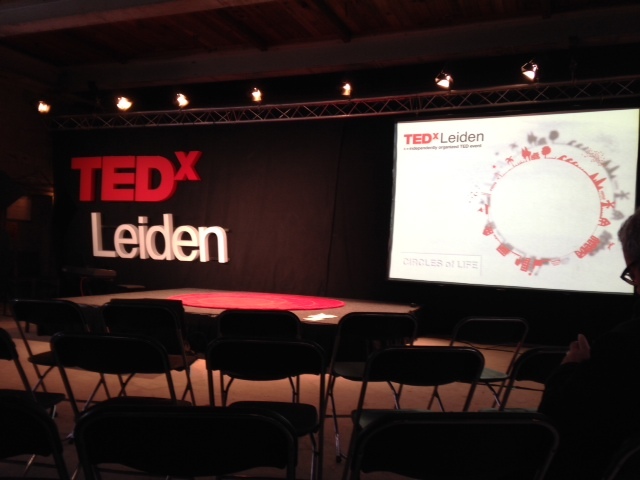 This was the second year of TEDx Leiden, and I am sure there will be one again next year. But also, just google for TEDx Amsterdam, The Hague, Utrecht, … to find out about other’s cities events. 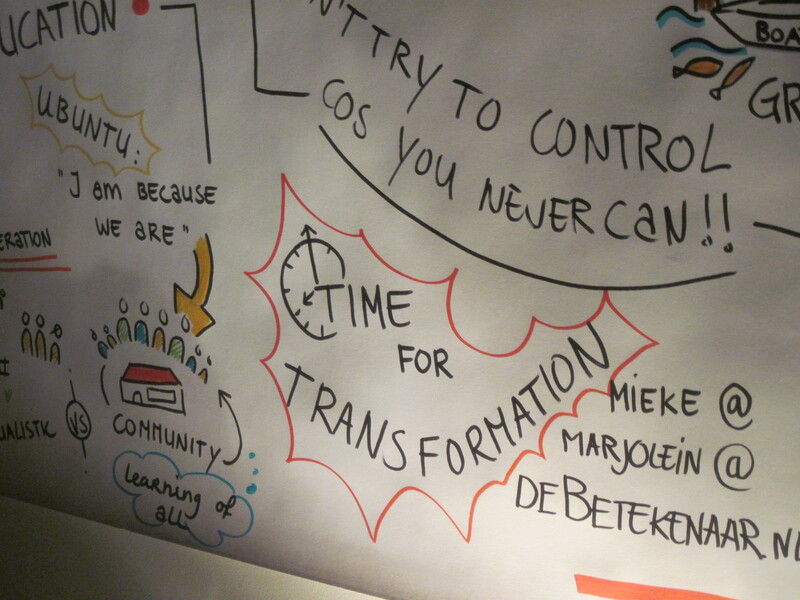 In Leiden, the theme of this year’s event was “Circles of Life” and the transition towards 21st century societies. What challenges are we facing, how to deal with crises productively and healthy, how do we want our societies to be? These were some of the leading questions of the day, and they were approached in the most diverse ways! Peace is like eggs, we have to be very careful and caring with it – how can you become a peace-builder? We need to understand the past to create a bright future – did you know that a real T-Rex skeleton will move to the Naturalis in Leiden? How can architecture help to change the interaction of neighbours and collective living? How can putting little bright umbrellas in dog poo help us to rethink our living within neighbourhoods? What is the value of mourning and why can’t we move on without? What difference does it make for a doctor to want to keep people healthy rather than curing them? Did you know that if you use a standing desk for half a day each day, it’s the same exercise as going to the gym three times a week? Did you know that the best situation to learn is in unknown circumstances? Do you remember what democracy really means – participation, being responsible and care for the next generation? A live TEDx event is so much more than the amazing speeches which you can later watch on youtube. At the end of the day, I have hugged a stranger, eaten some delicious home-made food (another TED idea: shareyourmeal, check it out! ), learned about the distance between the earth and moon and how few people realise how far that is, and have been climbing through a net of wool, spun and knotted by all the people attending. 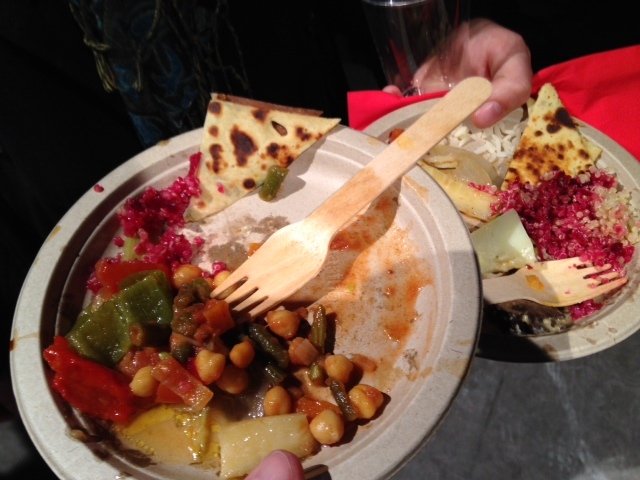 The food was fantastic and home-made! 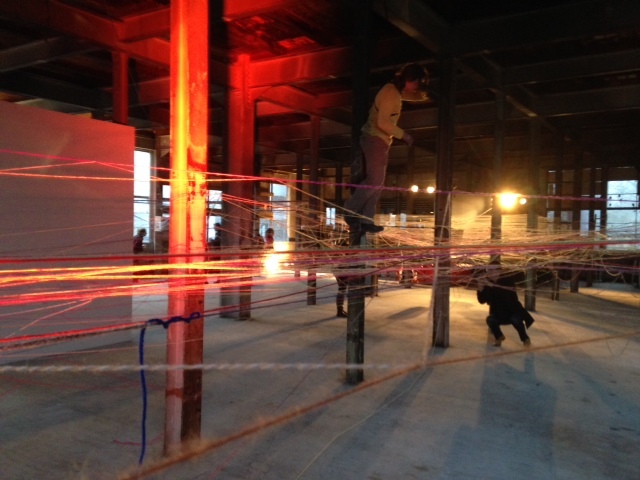 The event took place in the Meelfabriek Leiden, a former flour factory that stands empty now. It’s a fascinating building, I went there last year for the Open Monument Day and you can see some pictures on our tumblr page. Black writing: What do you hope for this day? Red writing: What can you do to get it? I went home with a head full of ideas and a heart full of happiness. And am left with one more thing to share for now. My favourite speaker was Marianne van Dijk, who lives as a cave woman in Amsterdam (check out her blog!) She gave us all a little challenge at the end of her talk, and I would like to pass it on to you: Leave out one product for one week! What change does that make for your life, your habits, your thinking? Have fun and feel free to comment if you try it! 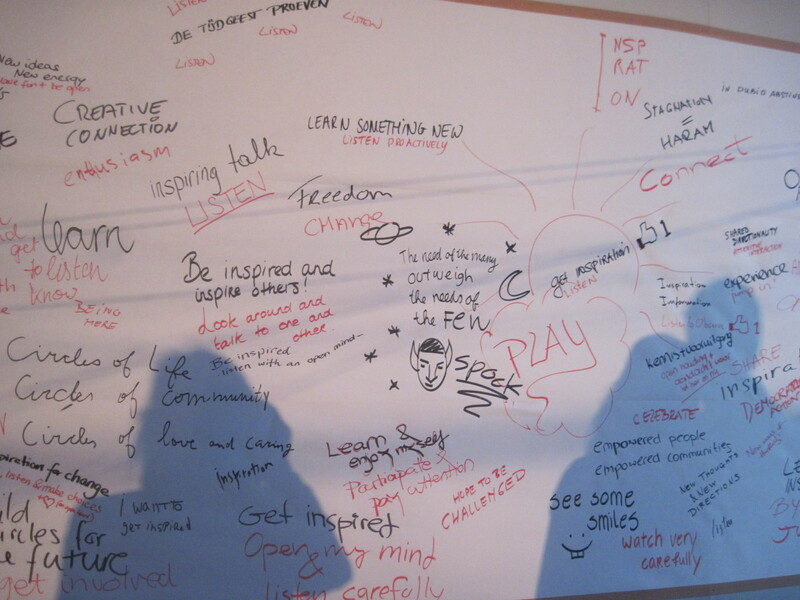 This entry was posted on December 2, 2013 by admin@theleidener in Anna Frederike, Culture and tagged Inspiration, Meelfabriek, TEDx Leiden.